Live chat has been around for businesses to use for years. And while this service can be extremely beneficial, there are very few small businesses who actually use live chat in a way that is helpful to either their customers or to themselves. So to serve as a reminder as to why you should be using live chat services and how to use them properly, here are three ways live chat can enhance your customer service when executed effectively. 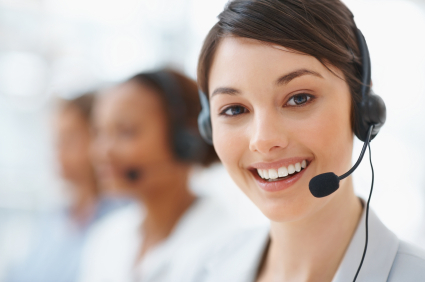 When given the options of communicating with a business via email, phone or live chat, customers tend to prefer using live chat services. In fact, Graham Charlton of EConsultancy.com found that live chat has a satisfaction rate of 73 percent while email and phone only have satisfaction rates of 61 and 44 percent respectively, proving that when used correctly, live chat can give your customers a better experience than any other form of communication. And if your goal is to leave your customers satisfied with your service, shouldn’t you serve them in the ways in which they feel naturally comfortable? While live chat is becoming more prevalent in businesses, there is still a lot of room for improvement. To set your business’s live chat apart from your competitors, Kurt Marko, contributor to Forbes, suggests upgrading your live chat to intelligent live chat. Intelligent live chat means that you don’t have canned answers or robots communicating with your customers. You give your customers an actual person to talk to and create a relationship with. This human touch will give your customers an even more positive experience than they would get from non-intelligent chat from other businesses. Using live chat gives you access to a lot of data that can help you to even further improve the customer experience with your business. According to Brian Honigman, contributor to The Next Web, live chat transcripts can give you information like response time, common questions and problems proposed by customers, effective communication styles and more. By using this information, you can constantly enhance your ability to meet the needs of your customers via live chat, boosting both your customer satisfaction and your sales simultaneously. Live chat is a great way to reach your customers in a setting that they feel comfortable in. If your live chat is easy to use and provides your customers with communication with the company in a honest and reliable way, there’s no telling the extent of customer relation improvement you could see merely by making a few tweaks in the way you execute your current live chat policies.